This is one of those books that I read mostly just to experiment, but the synopsis actually intrigued me, so it was high on my “To Read” list. 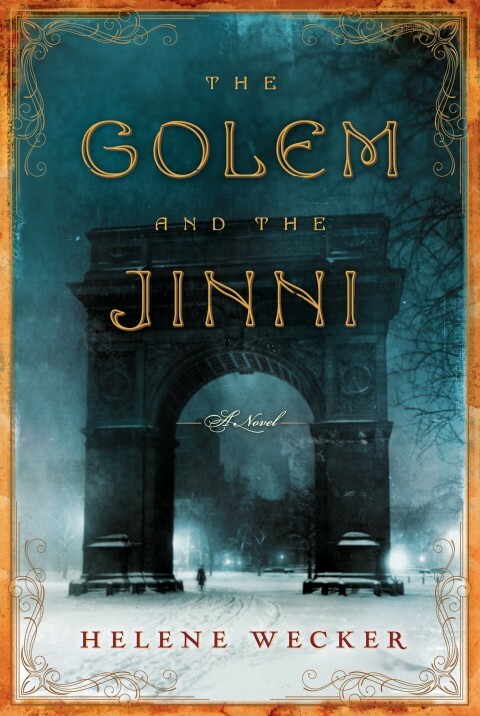 “The Golem and the Jinni, a chance meeting between mythical beings takes readers on a dazzling journey through cultures in turn-of-the-century New York. Ahmad and Chava become unlikely friends and soul mates with a mystical connection. And while the synopsis is technically accurate… it also misses the mark, significantly. The story begins with the creation of Chava, the circumstances surrounding her master bringing her life, and the first few days of her existence. It then shifts to the circumstances surrounding the release of Ahmad the Jinni, and how he begins to make a niche for himself. It shifts back and forth like this throughout the novel, often without warning, following several different characters of varying importance, but mostly centering on Chava and Ahmad. …and I waited and waited and waited for the two of them to meet. I mean, that’s the point of the story, right? The two of them? We go a good third of the way through the book before they meet, and both of them have now established lives of their own. It’s not really any sort of need that moves them to maintain contact, just curiosity. They do complement each other, I admit. Ahmad, as a creature of air and fire and freedom, is spontaneous and selfish, while Chava, a servant made out of earth, is cautious and selfless. But even so, I just didn’t see them as anything like “soul mates,” only good friends. Perhaps that friendship could become something more, in due time, but I really didn’t feel any romantic vibes between them, not ever. As for the “mystical connection,” the truth of that lies only in the magic that was used to enslave Ahmad and create Chava. Also, I could swear that the synopsis I originally read made it seem as if Chava and Ahmad happened to meet, and then chose to brave turn-of-the-century New York together, but I could be mistaken there. If it did, it was still inaccurate. With all that said, my feelings are somewhat divided. On the other hand, almost nothing actually happens. It gets very boring reading about nothing happening for so long. And the early portion of the book mostly deals with the life stories of several characters. Chava’s master was fine, as it dealt with her creation. We didn’t need to know that much about the life of the man who inadvertently releases Ahmad. Knowing the story behind Chava’s creator – who is not her first master – laid some ground work, but was a bit longer than it needed to be. We didn’t need to know so much about the girl Ahmad seduces, or the woman who runs the coffee shop – lovable though she may be – or even the rabbi who takes Chava in, or his nephew, really, and when we got to the man who sells ice cream, I groaned out loud at how ridiculous this was getting. Ironically, that last actually proved somewhat significant, if also still a bit plodding with the details. And for goodness’ sake, once Chava and Ahmad had their names, couldn’t the narrator use them instead of going “the Golem” and “the Jinni” for the entire length of the novel? In the end, while I enjoyed the tale of The Golem and the Jinni, I’m unsure about how strongly I can recommend it. The world, the characters, the story, they all felt real, but burdened by unnecessary details. The plot was real, but slow. The tension was riveting, but infrequent, coming and going without pause. The texture, mixing times, cultures, and legends together, was superbly done, but still seemed to ramble at times. I liked it… but only liked, a little, not loved. Rating: I’ll have to give this only 6 stars out of 10. And now I hear Wecker is writing a sequel, Iron Age or something like that. Honestly, I might read it sometime, but I’m not really that interested, ya know? This entry was posted in Books, Tuesday Review and tagged Helene Wecker, The Golem and the Jinni. Bookmark the permalink.